Folks in San Francisco’s Chinatown say their neighborhood is not only losing its culture, but its business. Merchants say there are currently 46 vacant storefronts and that number keeps growing by the week. 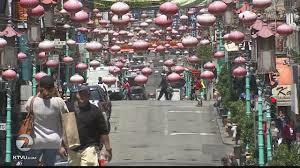 SAN FRANCISCO (KTVU) – Folks in San Francisco’s Chinatown say their neighborhood is not only losing its culture, but its business. Merchants say there are currently 46 vacant storefronts and that number keeps growing by the week. Today, dozens of business owners and concerned Chinese-Americans held a rally at Portsmouth Square to draw attention to the problem.